OMAHA, Neb. 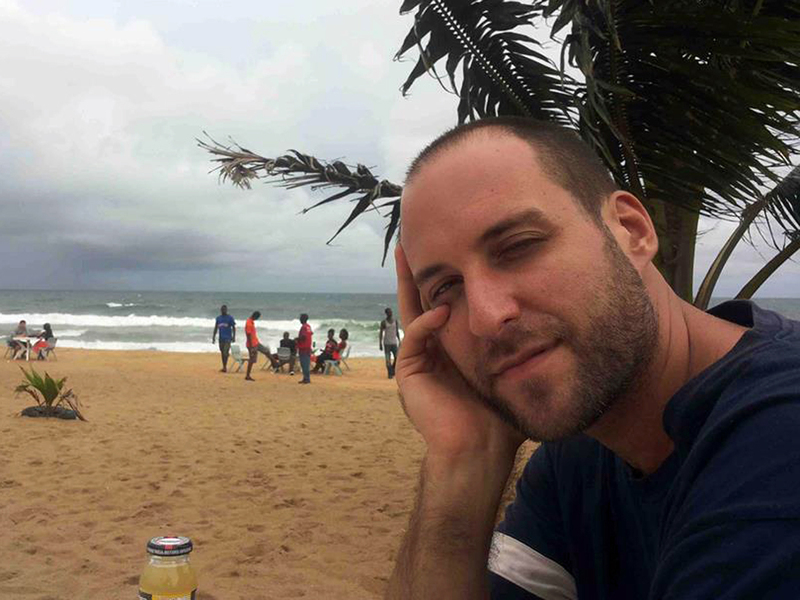 -- An American video journalist being treated for Ebola is now free of the virus and will be released soon, the Omaha hospital where he is being treated said Tuesday. A recent test showed Ashoka Mukpo's blood is negative for the virus, according to the Nebraska Medical Center. The test was confirmed by the Centers for Disease Control and Prevention. Mukpo will be allowed to leave the hospital's biocontainment unit Wednesday. "Recovering from Ebola is a truly humbling feeling," Mukpo said in a statement. "Too many are not as fortunate and lucky as I've been. I'm very happy to be alive." Mukpo, of Providence, Rhode Island, contracted the virus while working in Liberia as a freelance cameraman for NBC and other media outlets. He has been at the Nebraska Medical Center since Oct. 6 and was the second Ebola patient to be treated there. "Our staff was confident it would be able to successfully care for another patient," Dr. Phil Smith, medical director of the biocontainment unit, said in a statement. "We've learned firsthand that caring for a patient with the Ebola virus presents challenges you don't face in the regular hospital environment. But our years of training on protocol in the unit and gaining familiarity with all the personal protective equipment was certainly an advantage for us." Mukpo has tweeted that he's still not sure exactly how he caught the virus, but that he doesn't regret returning to Liberia in September to "help raise the alarm." American aid worker Dr. Rick Sacra also was treated for Ebola at the Nebraska hospital. Also Tuesday, doctors in Spain confirmed that a nursing assistant who contracted Ebola while treating two missionaries no longer has the virus.